The exit strategy and task of promoting initiatives and investments in an economically still uncertain landscape starts with public and private operators. There is no doubt that energy efficiency is the first investment to be taken into consideration for the future in terms of competitiveness and sustainability. On the strength of this approach, we have exploited for 2015 all the suggestions and favourable comments that emerged during the first and second editions of the Verona Efficiency Summit and Smart Energy Expo. This enabled us – with Veronafiere – to outline the third edition of an event whose organised approach events held in Italy and abroad were occasions for comparison and exploration not only for “insiders”. The way ahead has already been marked out as regards the future, even in terms of medium and long-term European strategies: it lies in synergistic and interdisciplinary integration of the energy sector and the ICT technologies underlying the new research-innovation-application paradigm. Those who grasp this in good time will gain important competitive advantages in terms of both the development of new services and in terms of a sustainable approach from an economic and environmental point of view. Last but not least, EKN has continued its efforts to build content for Veronafiere to ensure effective development of the energy sector; in particular, this year we curated the scientific program of Smart Energy Expo with a special emphasis to continue training programs and opportunities for discussion on the subject of energy efficiency. 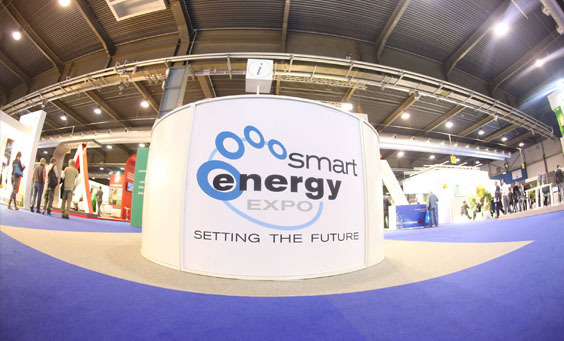 The 2015 Edition of the Verona Efficiency Summit and Smart Energy Expo is a new professional opportunity for analysing and promoting products, solutions and technologies applied to energy efficiency.